It’s been 150 years since a bullet fired in Ford’s Theater changed the history of the world, but in many ways Abraham Lincoln is more alive today than ever. Lincoln’s likeness is still very much visible in today’s society and pop culture. He’s one of, if not the most, quoted president by aspiring leaders. The country’s “bonds of affection” for Lincoln have only gotten stronger with the passage of time as evidenced by the over 15,000 books that have been written about the 16th president, a man who was born poor in a log cabin and rose to the highest office in the land. A look back at President Abraham Lincoln's assassination, 150 years later. To find out how we got here let’s go back to that fateful night of April 14, 1865, when actor John Wilkes Booth assassinated President Lincoln with his Derringer pistol. Lincoln’s two-week funeral train procession traveled 1,700 miles, through 180 cities and seven states. An estimated 12 million people saw the procession, a remarkable 1/3 of the entire U.S. population. It was America’s first national funeral. With less than a year of formal education, Lincoln’s mind and words have become the foundation of America’s soul. Phrases like “a house divided”, “a new birth of freedom”, and “the better angels of our nature” are iconic in history. His biblical-like second presidential inaugural address is still the gold standard for which every president’s speech after him is measured. There’s no better example than the 272 words Lincoln spoke on the Gettysburg battlefield in November 1863. Remembering the American Civil War, 150 years after Confederate General Robert E. Lee's historic surrender at Appomattox. 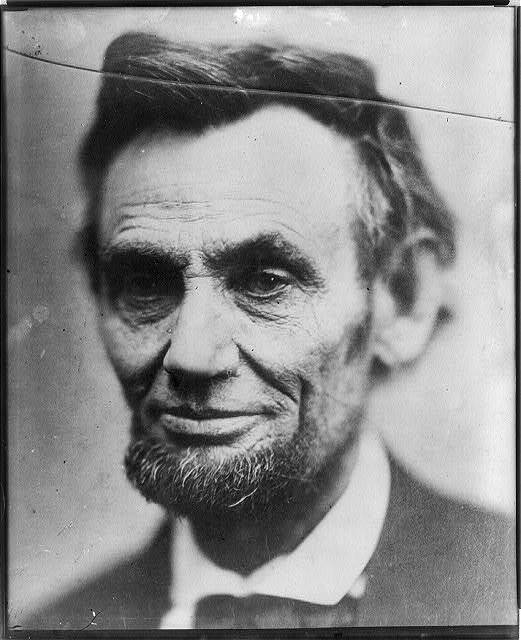 When you look at those remarkable pictures of Lincoln, even today, you can feel the strains of war and the burden of nearly 400,000 dead U.S. soldiers on his face. Lincoln fought for human dignity, and won. He eradicated slavery, America’s greatest sin. He endured the bloodiest war this country has ever seen to advance the cause of freedom. He represents everything America stands for, everything we as individuals stand for, and everything we wish our leaders today would stand for. Now that the 150th anniversaries have all passed for Lincoln and the Civil War, a new period of time begins where the endurance of Lincoln’s legacy will be tested.